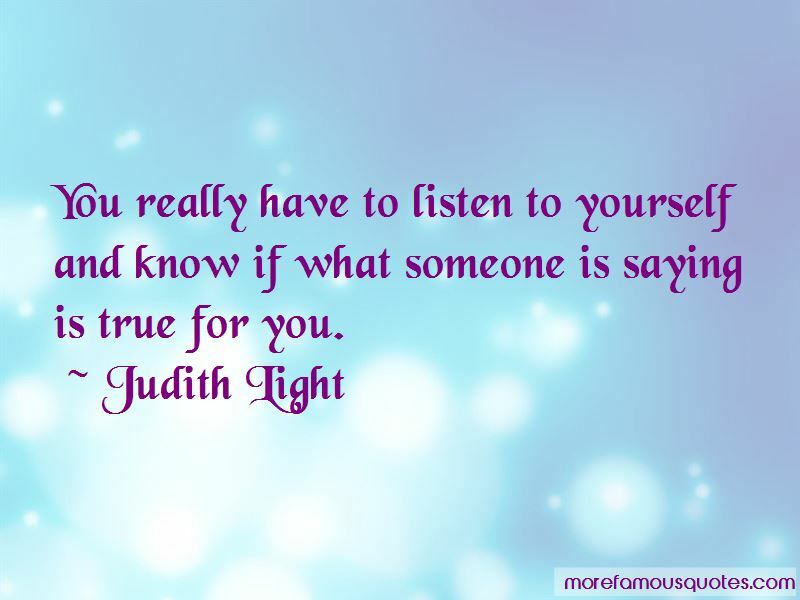 Enjoy the top 32 famous quotes, sayings and quotations by Judith Light. 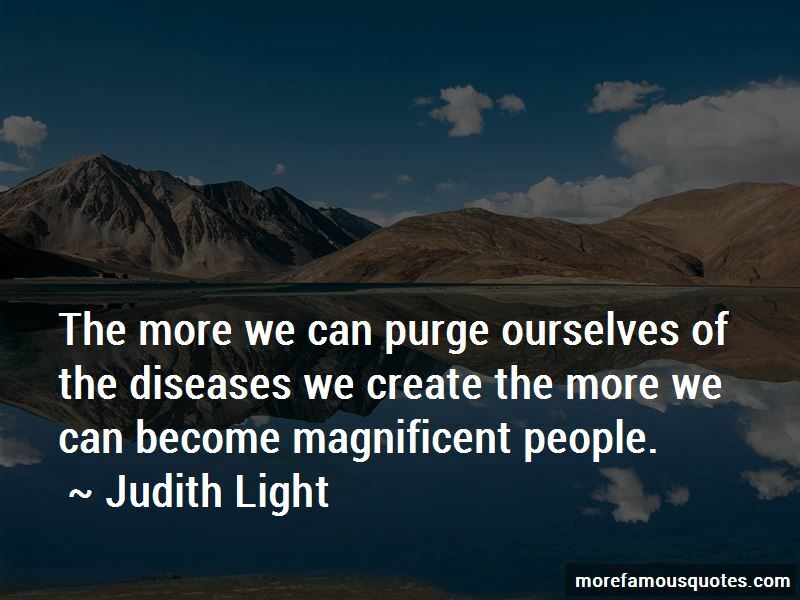 The more we can purge ourselves of the diseases we create the more we can become magnificent people. I was different and people made fun of me. I wish we lived in a society that made it safe and provided the courage for everyone to come out. But celebrity really doesn't mean anything unless you use it for finding some way to give back and I've always felt that way. If you want to be a star, don't bother doing it because it ends up being very empty. When I became of service to other people I stopped worrying about my weight so much. You really have to listen to yourself and know if what someone is saying is true for you. 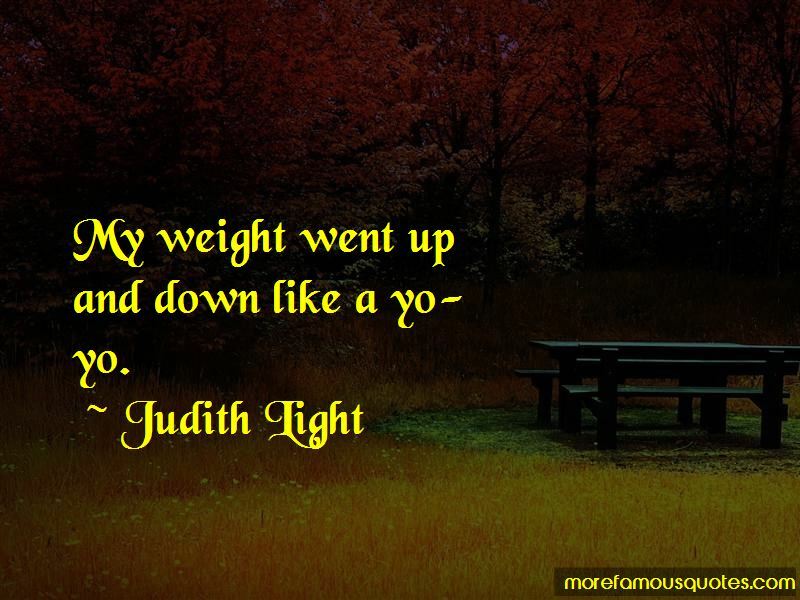 Want to see more pictures of Judith Light quotes? 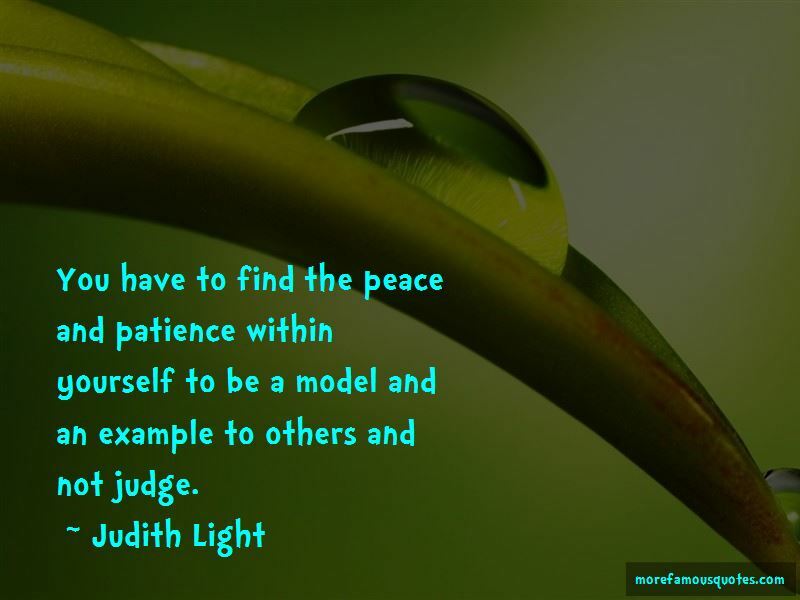 Click on image of Judith Light quotes to view full size.